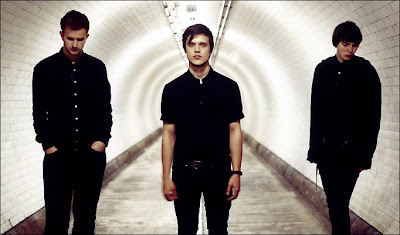 DC Rock Club: Ticket Giveaway: White Lies at Austin City Limits! you'd be an idiot not to enter this contest. sweet line up. I didn't even mention the B-52's. I can't deny my love for the "Love Shack". And let's not forget "Rock Lobster". BTW, did you know that Fred Schneider put out a solo album produced by Steve Albini? Apparently, it was a total trainwreck. Shocker. Also, even though I'm not a huge fan, I bet Pearl Jam will deliver a killer set to close the festival. Hmmm. Maybe it was best for you to leave the B-52's out of this. Fred Schneider is kidding himself if he thinks anyone cares to hear anything new from him. He's better off doing an album of all covers. I've never seen Pearl Jam, but would like to. I'll be 65 wearing a flannel at their nostalgia tour while young hipsters poke fun at me online (or wherever the internet of the future may be). We already have tickets but look for us at B-52s. Also very excited about the Toadies! Still bummed that the Raveonettes are stupid and somehow didn't get their visas in order. Love them.